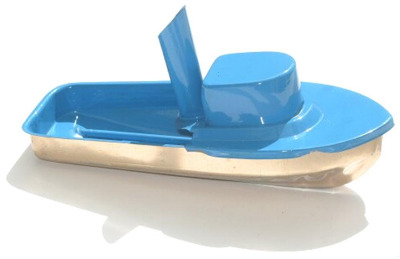 Jumbo Pop Pop Tug Boat - Sky Blue. A huge - 7 1/2" (19cm) long. Features the large pop pop boiler. Comes complete with fuel burner, candles and full instructions. A sizable pop pop boat allowing customisation and additional painting to create your own unique working model.